Buffalo loves its Bloodies. We really really do. It’s a fact. 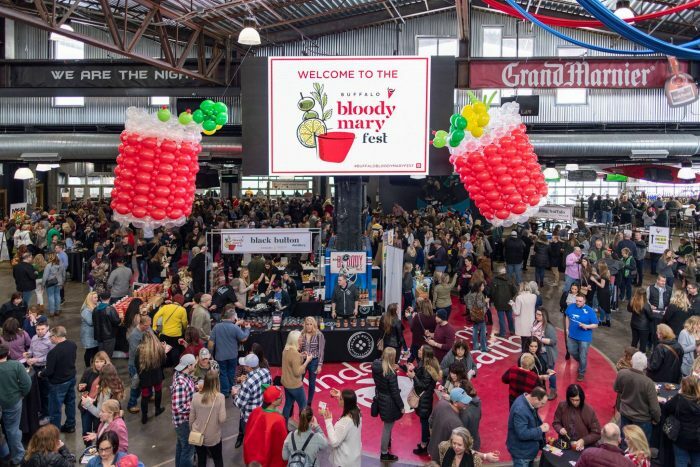 Buffalo Bloody Mary Fest hosted by yours truly, Step Out Buffalo sells out every year. 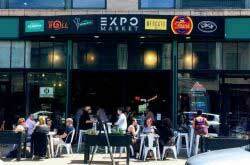 This Sunday Bloody Funday experience has become a tradition for Bloody Mary lovers. But really. 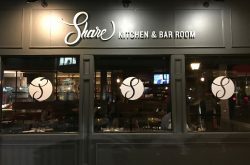 Ten local bars and restaurants came ready to compete for the chance to be crowned Buffalo’s best. The competition was fierce. It always is. In fact, it’s more and more impressive year after year. Panorama on Seven took home the ever-so-sought-after title of Buffalo’s Best Bloody Mary. This Bloody Clucking Mary was no joke. 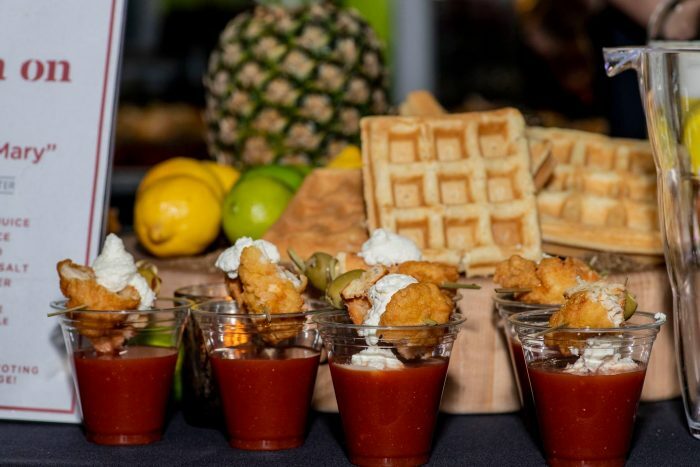 But really, if you’re chicken and waffle obsessed, like us, this Bloody had you at the garnish. Simple, yet heavenly. 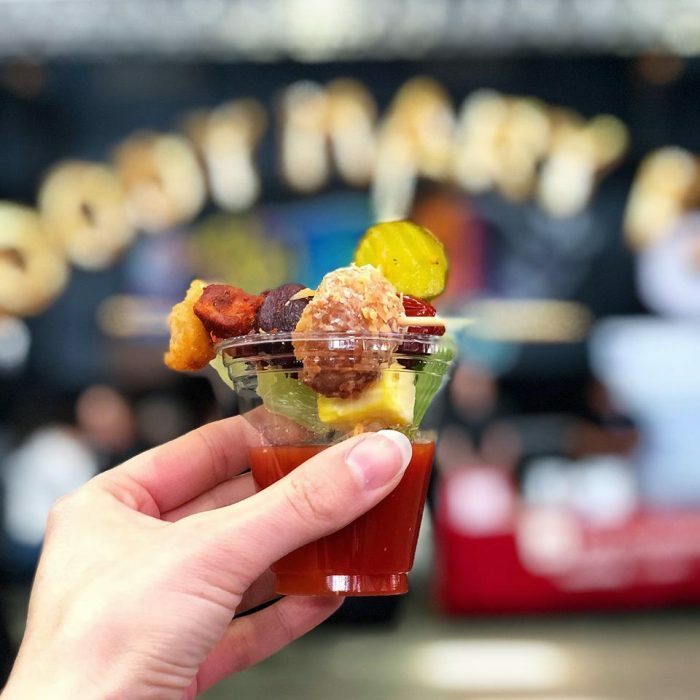 This Bloody was garnished with a mini chicken and waffle slider complete with just the right amount of drizzle, specifically chipotle honey drizzle. The Bloody itself was flavorful, yet well-balanced and maybe that’s why it was love at first sip for so many. The recipe called for tomato juice, lemon juice, lime juice, pineapple juice, worcestershire, olive juice, tabasco, franks, horseradish, celery salt, black pepper, and garlic powder. 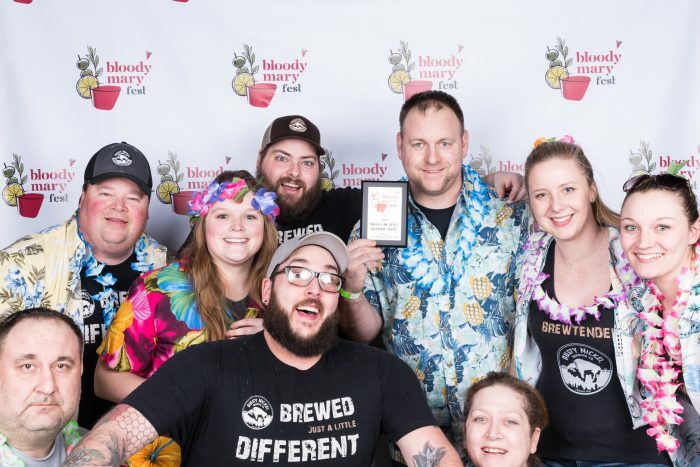 For the second year in a row, Rusty Nickel Brewing Co. left BBMF with two awards in hand – Most Creative and Best Garnish. 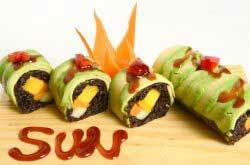 In terms of creativity, The Mahalo Nani was off the charts. This brewery went all out with the theme, and it paid off in a major way. This Bloody was made with House Bloody Mary Mix, maiti flavoring, pineapple juice, a sweet jerk salsa puree, a blend of hot sauces, and a brand-new beer tropical called Tropical Slice O’. Let’s talk garnish game. This garnish was next level. But really. This Bloody came with snacks. So many snacks. The garnish alone featured 10 ingredients, including a celery stick, lime wedge, chilled pineapple cube, sweet gherkin pickle, pickled cherry pepper, pepper jack cheese cube, coconut shrimp, pineapple glazed ham cube, dark sweet cherry, and a toasted coconut donut from Paula’s Donuts. 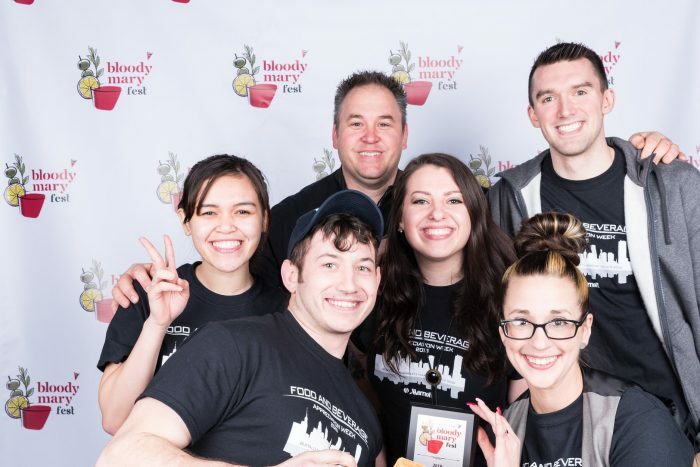 Huge congrats to our Buffalo Bloody Mary Fest 2019 winners and thanks to all the participating bars – they all brought their a-game and frankly blew our bloody-loving minds. Check out photos from BBMF 2019 on the Facebook event. Ready for next year, yet? We sure are! We can’t wait to see what the competition brings for year 5.